Mr Tetsuo Kondo (fifth from left) together with community members and arts and community-based practitioners. The Japanese Young Architect Award Winner Tetsuo Kondo is currently in Malta to design a rooftop garden at the Valletta Design Cluster. 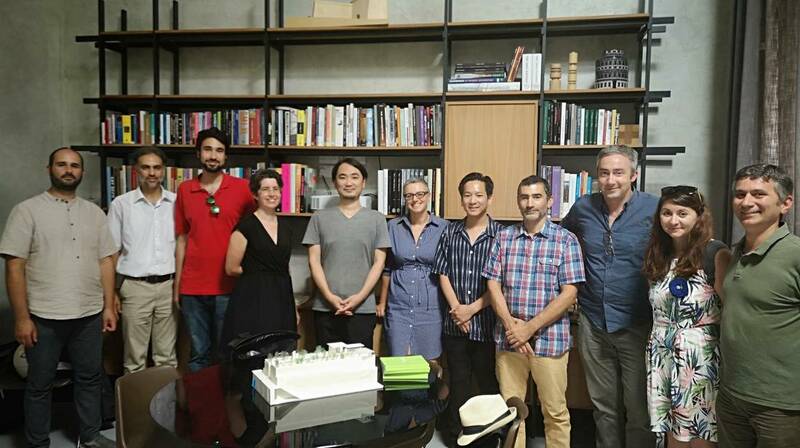 The Valletta 2018 Foundation is hosting Mr Tetsuo Kondo, founder of Tokyo-based Tetsuo Kondo Architects, who has met with Valletta residents and arts- and community-based practitioners during a focus group held last Tuesday to develop the project further. Dialogue with different stakeholders is essential and is part of the process involving the contribution and participation of the wider Valletta community to shape this flagship legacy project by the Valletta 2018 Foundation. While the main infrastructural works for the Valletta Design Cluster, one of Valletta 2018’s main large-scale infrastructure projects, are being sourced from the European Regional Development Fund, the Valletta 2018 Foundation is partnering with the EU-Japan Fest to support Mr Kondo’s design input. Mr Kondo also has worked and collaborated extensively with other past European Capitals of Culture and he has also participated in earlier Venice Biennale editions. Mr Kondo will also be a keynote speaker during this year’s Design Dialogues, to be held in Valletta during September, which will also be supported by the Valletta 2018 Foundation.